. The ministry has urged the dabbawalas to be messengers for good sanitation processes and paste the messages on lunch boxes. 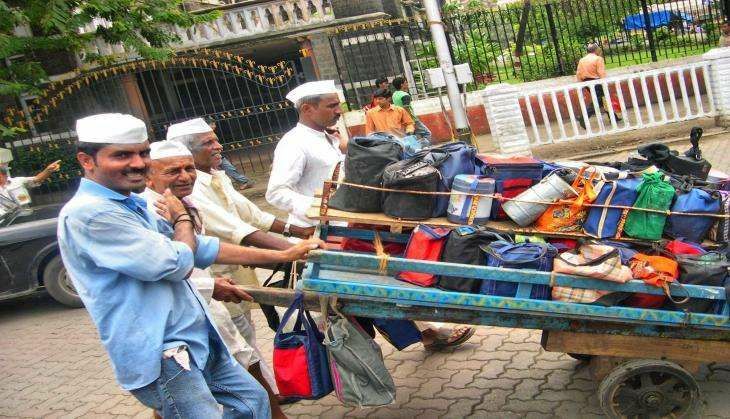 Supplying around 1.7 - 2 lakhs tiffin boxes daily to office-goers, the government has named dabbawalas as ambassadors of the Swachh Bharat initiative, Times of India reported. The ministry, in a letter to Raghunath D Madge, president of Mumbai Tiffin Box Suppliers Association, last week, sought their help in disseminating the message of "safe sanitation and hygienic practices" among their clients. The letter further suggested that messages such as - "wash your hands before eating" or "dispose of leftover food in waste bins" - should be pasted on the lid of the tiffin box as well as its underside. TOI quoted an official as saying, "The intention is to ensure that a sizeable section doesn't miss the messages while eating. This will also lead them to carry the message home." Meanwhile, the ministry has also launched a fortnight-long intensive exercise to rope in residents welfare associations and mohalla committees for sanitation and awareness programmes. Officials said these initiatives were being taken to bring a change in people's behaviour, which is the biggest challenge in achieving complete sanitation by 2019, TOI reported.